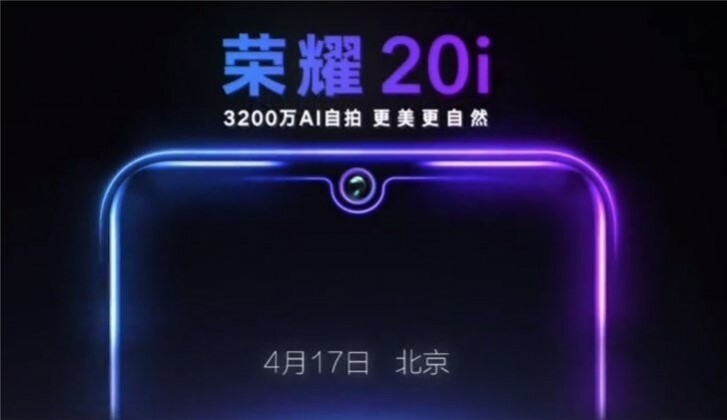 The Honor 20i will be officially introduced on April 17, the company profile on Weibo announced with a video. The phone will have a notched screen, where the waterdrop cutout will be occupied by a 32 MP selfie shooter. While the Honor 20i got a promo video to show itself, the Huawei subsidiary is actually planning another product launch at the event - Honor Magicbook 2019. It is a pretty obvious take on Apple’s MacBooks, but we have to wait until next Wednesday for full details. will huawei/honor ever rest? lol. ...so the release was two years ago?